Gaming has become an increasingly popular part of what we do with our Macs and iOS devices, and Apple finally realized that. In iOS 5, the company introduced Game Center, a social network service and set of frameworks that developers could use to handle common gaming-related tasks, such as tracking friends, accruing achievements, and playing multiplayer games. 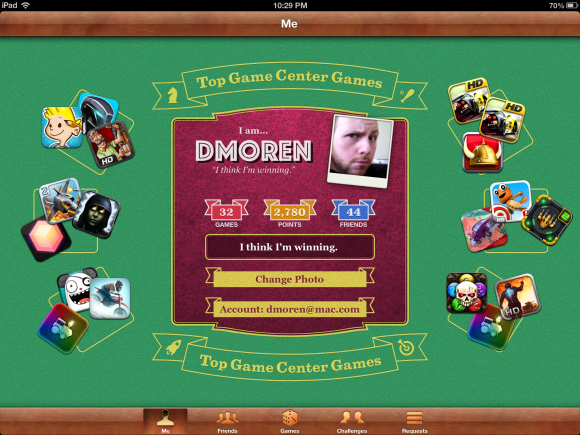 Chances are you’ve encountered Game Center’s green felt background on one of your many Apple devices. Maybe it popped up when you were trying to start a game of Letterpress, perhaps you got a notification letting you know it was your turn, or maybe you were just wondering about that multicolored icon Apple dropped on your home screen. If it had your confused, don’t worry: Let us walk you through how to get the most out of Apple’s online gaming service. What’s your handle, good buddy? The first thing to do is to create a Game Center account by launching the service on either your Mac or your iOS device. Regardless of where you choose to create the account, it will be accessible on both iOS or OS X, and the options you’re presented with will be the same. They call me Mr. Tibbs: The first thing you'll want to do is pick a nickname that people on the service will identify you by. Among the most crucial decisions you make when creating a Game Center account is picking a nickname. This is the name you’ll be known by online, and it will show up in leaderboards and in multiplayer games. You’ll want to pick carefully—once you've created it, you can’t change your nickname without making an entirely new account, in which case you’ll have to go through this whole procedure again. While creating your account, you also have the option to make your profile public or private. If public, your profile (and your real name) will be visible to others on the service, Game Center will provide you as a recommendation to other users with your real name, and your nickname will be used in public leaderboards. There’s also an option to upload your contacts in order for Game Center to provide you with friend suggestions. More on that below. Once you’ve chosen your nickname and created your profile, you can add a couple of pieces of personalization: namely, a photo and a status. 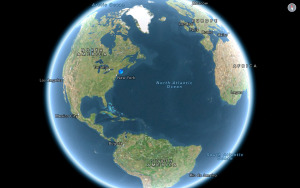 I am who I am: Your profile includes your nickname, a picture, and a status message. The photo’s pretty standard, but keep in mind that it’ll be seen by your friends or anybody you play games with, as well as anybody who views your profile if it’s public. You can assign one by tapping or clicking on the photo on the Me screen, and either choosing from your picture library or snapping a new photo with your device’s built-in camera. A status is a short message on your profile—think of it like a Twitter update or Facebook status. It really just gives a little bit of flavor to your account, for those who happen to come across it. You can change it at any time by typing a new message in the text field on the Me page. Okay, Game Center doesn’t actually support foes—wouldn’t that be cool though?—but it does let you maintain a centralized list of friends. This way, you don’t need to recreate your friend list or send pesky invites to your pals every time you try out a new game. However, you’ll still have to do this once. Friendly fire: Your friends list lets you compare stats with your comrades. As mentioned above, when you create your account you’ll have the option to upload your contacts to Game Center in order to get friend suggestions from among those you already know. This is a good way to help seed your list of potential friends. If you choose not to upload your contacts when creating your account, don’t worry: You can do so later by going to the Friends item on the toolbar, scrolling to the bottom of your recommendations, and choosing Use My Contacts. Pretty please: Adding a friend to your list is just a matter of inviting them ... and of course having them accept. To actually add a contact to your Friends list, you’ll need to invite them. Tapping on any user’s profile will show a Send Friend Request banner; tap that to send them an invite, which you can personalize with your own message. 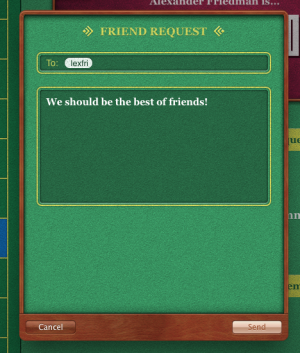 You can also send a Game Center invite to an email address, in case one of your friends doesn’t have an account yet; just go to the Requests screen and tap the plus-sign button (+) to create a new invite. Of course, if you ever want to remove a friend, you can do that to by going to their profile, scrolling down to the bottom, and choosing Unfriend. You’ll also see a Report a Problem button, if you happen to encounter someone who is behaving in a unsporting or rude fashion (none of your actual friends, we’re sure).